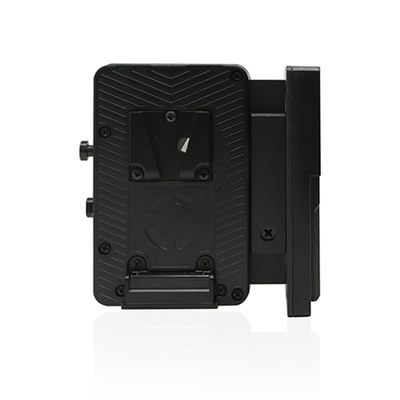 Product #60802 | SKU HLX-TS-SFF | 0.0 (no ratings yet) Thanks for your rating! Takes power management concerns away from the camera, and provide a “hot swappable” platform between on-board and block battery/AC mains. The Core SWX Helix V-Mount Sharkfin Battery Plate is a v-mount to v-mount sharkfin plate that accepts HELIX battery packs and standard 14v packs. When two HELIX battery packs are on-board and connected to a HLX mount plate, the adapter can output both 11-17vdc and 22-34vdc. A separate pin set for high voltage allows for safe power transmission.